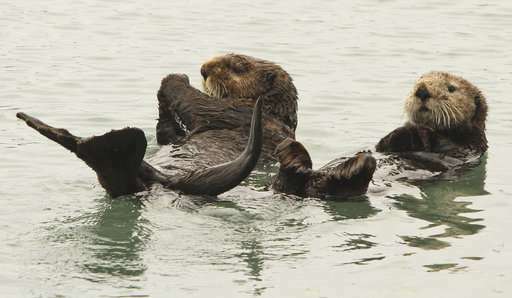 Northern sea otters, once hunted to the brink of extinction along Alaska's Panhandle, have made a spectacular comeback by gobbling some of the state's finest seafood—and fishermen are not happy about the competition. 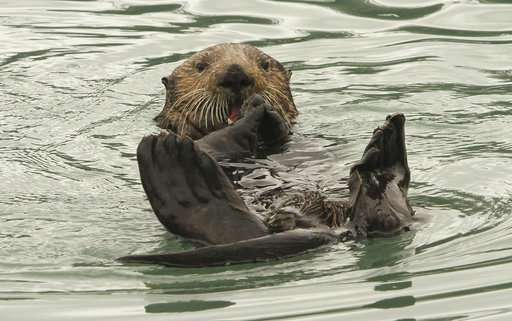 Sea otters dive for red sea urchins, geoduck clams, sea cucumbers—delicacies in Asia markets—plus prized Dungeness crab. They then carry their meals to the surface and float on their backs as they eat, sometimes using rocks to crack open clams and crab. The furry marine mammals, which grow as large as 100 pounds (45 kilograms), eat the equivalent of a quarter of their weight each day.